Microsoft has introduced four laptops configured with Windows 10 focused on new schools. The company has also revealed that the school teachers will receive free use for Office 365 in several countries. Out of the four laptops two has been developed by Lenovo and other by JP. 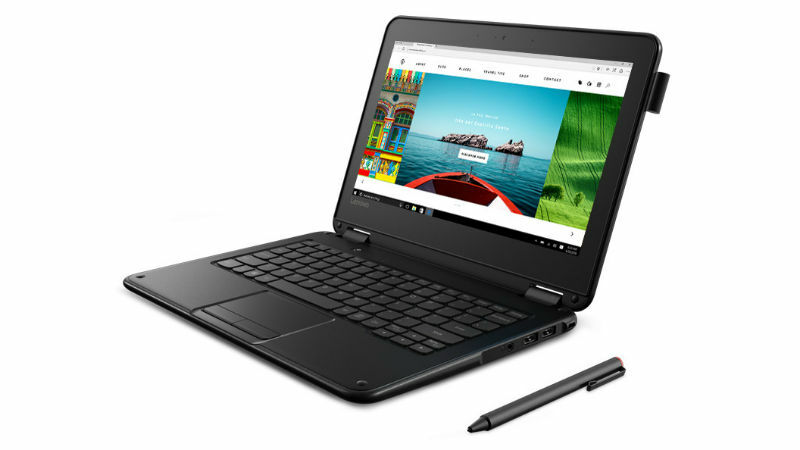 Keeping in mind the budget approach for the school students Lenovo has designed the model Lenovo 100e and the range starts from $189 approx. It is configured by an Intel company, Celeron Apollo Lake processor, clubbed with minimum 2 GB RAM known as LPDDR4. It has HD antiglare screen with a size of 11.6 inches. The battery backup of the laptop is 10 hours and it weighs 1.22kg. The other model of Lenovo 300e, which is 2 in 1 convertible PC, has also been introduced in the Microsoft Education. It is also powered by Intel company Pentium processor, clubbed with 4 GB RAM known LPDDR4 and 16 GB eMMC Storage. It has HD display size of 11.6 inches and has the multi-touch display which is supported by an active pen. It has a battery backup for 8 hours and the price ranges from $279. The other two laptops are unveiled by the JP Company for the Microsoft Education. The Classmate Leap T303 model laptop configured with Windows Hello support is priced $199 approx and the other is Trigono V401 2 in 1 starts at $299 approx and it is clubbed with pen and touch support. The office 365 will help the students in education and to improve their assignments and other skills in the class notebook. It can also be paired with iOS and other Android versions and it also helps the teachers to present PowerPoint presentations in classrooms. STEM is also an important part in which Microsoft Education tends to emphasize more for better learning of the students.